It's almost fall. Sweet new season. I think fall feels most like the beginning, like a new year. It may be because of the new school year, the succession of happy holidays, the light and weather that bring us closer to home, to each other. It feels like a good time to begin again, to renew vows, to learn, to start something fresh. 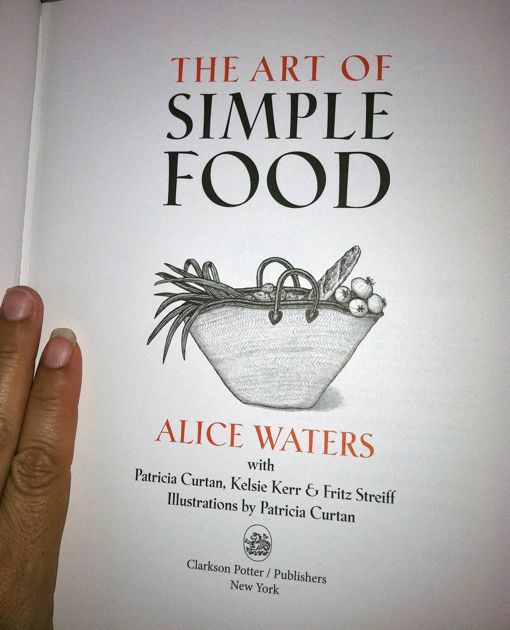 I've been invited to join a book~cook club, where we will be cooking our way through Alice Water's book The Simple Art of The Art of Simple Food. Pardon... I keep mixing up the title! We will begin this venture in October. I've never been in a book club: squeee! I never follow recipes: squeee! This could be awesome, don't you think? 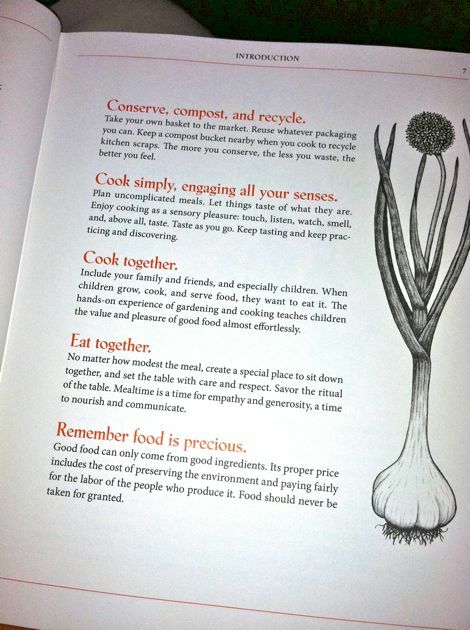 Karen is quite an inspiration... she's rallied one-hundred eager and willing participants, and we are about to cook our way through local, seasonal, and sustainable foods. My friend, Anne said, "At the rate of 3-4 recipes a month, we'll be together for about 7 years! I am ok with that." I love her analytical, and receptive mind. If she's all in, then me too. Now to let the chicas know... I need them to pull their weight, and quit hiding the goods! 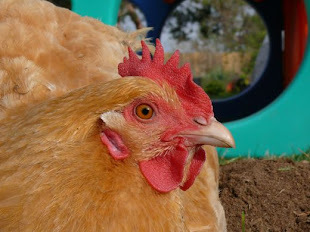 All right, ladies, where did you hide our local, seasonal, sustainable eggs? I love that page of the book. Also, I have to smile when I think of the non-sewers picturing you getting out your dental floss in the fall. Why is she doing that, they wonder. You will have to show them some floss embroidery. ;-) Big hugs, chica. Oh, yes! Every fall I start *flossing,* again. Great idea - must check out this book, it looks like my sort of thing. Living in Spain, I'm so much more aware of seasonal goodies as our neighbours are unendingly generous with the excess from their 'huertas'. 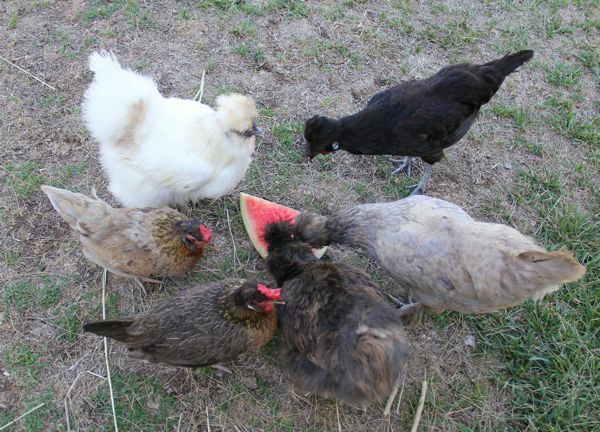 We have had tomatoes, squashes, onions, potatoes, peppers and grapes (as well as eggs) in the last week or so. Enjoy - do share the recipes, won't you! Fresh and local... you have marvelous neighbors, Annie. You should write a blog about it...and maybe get a movie deal...pull your own Julie and Julia! I've read that food bloggers ripped her apart. Besides, it's not my party. So... what other ideas do you have? I could use some career counseling! Does anyone have capers, really? I feel good about it... mostly I think because I am not running it! My hope is to challenge myself to try new recipes, learn new skills, and enjoy the adventure... did I mention how happy I am not to be in charge!?! Maria is all about robots to cooking, sword play to farming! Which reminds me, I am supposed to sign her up for ballet! Isn't it interesting to see where our children's interests pop up? The goats... the goats _caper_ all over the place!